Paris, 1 November 2017 – The Principality of Monaco announced the signature of a strategic partnership aimed at strengthening the activities of the World Heritage Marine Programme. The announcement follows an initial cooperation earlier this year that led to the identification of potential new World Heritage marine sites in the Arctic region. The UNESCO World Heritage List currently includes 49 marine sites, distributed across 37 countries, recognized for their unique marine biodiversity, singular ecosystem, unique geological processes or incomparable beauty. This network includes the breeding grounds of the world’s last healthy population of grey whales (Whale Sanctuary of El Vizcaino), the highest density of ancestral polar-bear dens (Natural System of Wrangel Island Reserve), and home of the world’s most ancient fish (iSimangaliso Wetland Park) and the inimitable marine iguana (Galápagos Islands). Their disappearance would be an irreversible loss to humanity. Today’s signature reflects the willingness to support a strategic collaboration between UNESCO and the Principality of Monaco, in particular in the framework of the campaign “Monaco Explorations”. This international and multidisciplinary initiative, launched by H.S.H. Prince Albert II of Monaco earlier this year, renews Monaco’s 120 year old tradition of scientific marine expeditions led by Prince Albert I. Throughout 2017-2020, Monaco Explorations aims to learn, understand, raise public awareness and raise action in favour of enhanced protection for the ocean. Over three years, the Yersin, an environmently-friendly vessel that was transformed into a floating scientific laboratory, will welcome world-renowned scientists that will study coral reefs and marine species during the 20 scheduled stops across the world’s tropical oceans. UNESCO’s World Heritage Marine Programme will add expertise and support to Monaco Explorations during stops in World Heritage marine sites that are on the Yersin’s path. The Marine World Heritage network is expected to benefit from the new scientific findings that will be revealed throughout the three-year expedition. UNESCO has the international mandate to oversee the State of Conservation of World Heritage sites in order to ensure their preservation and so that future generations will still be able to enjoy them. The Monaco Explorations will also add most needed attention to the need for enhanced protection of the ocean, and as such support UNESCO’s decisions and actions in favour of our common Marine World Heritage. 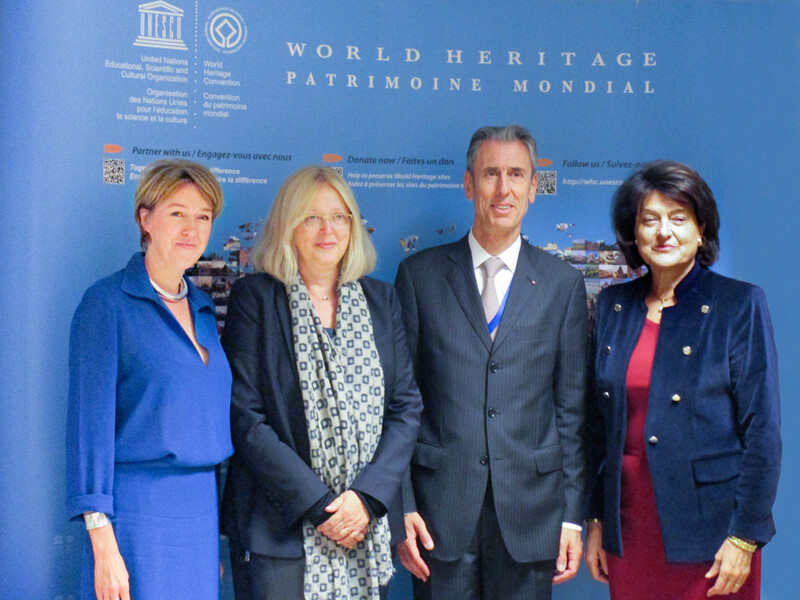 Learn more about the Framework Agreement between UNESCO and the Principality of Monaco here.